There was a before and after in my baking skills last Friday night. On Friday, J's cousin's wife and her friend, from mainland China, came to Hong Kong for some crazy shopping. My mother in law and I spent de day with them and brought them all around Hong Kong to my favorite shopping places. By the way, if I ever decide to make a post with all of these places, Hong Kong girls and Hong Kong tourists alike will love me, you just can't find better! Anyway, we had a really wonderful time, between shopping and my mother in law's praises on my baking skills. I think if any of my friends back home in Barcelona saw me out and about with three Chinese women speaking Chinese as if it were my mother tongue, it would blow their minds off. It kinda blows my own mind too when I stop to think about it, really. Not to boast or anything, but my Cantonese is definitely proficient by now. 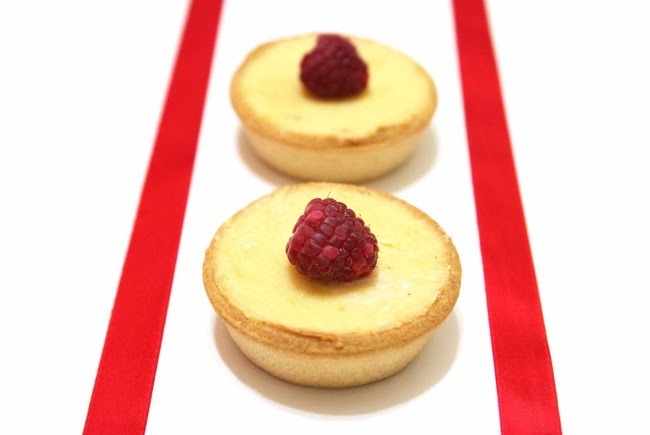 So back to the baking stuff, they were so curious about my homemade cakes that when I finally got home on Friday night, I decided I would try to make one of my all-time favorite desserts: a lemon tart. Not any kind of lemon tart, to be sure! I used Pierre Herme's recipe, and l can vow it turned out EXACTLY as the one he sells for 4.5 euros per tart! Now is when I really boast: I AM A GENIUS!!! I followed the recipe in French from this blog because it has awesome step-by-step images, which is why even if you don't speak French, I still recommend taking a look for the pictures sake. 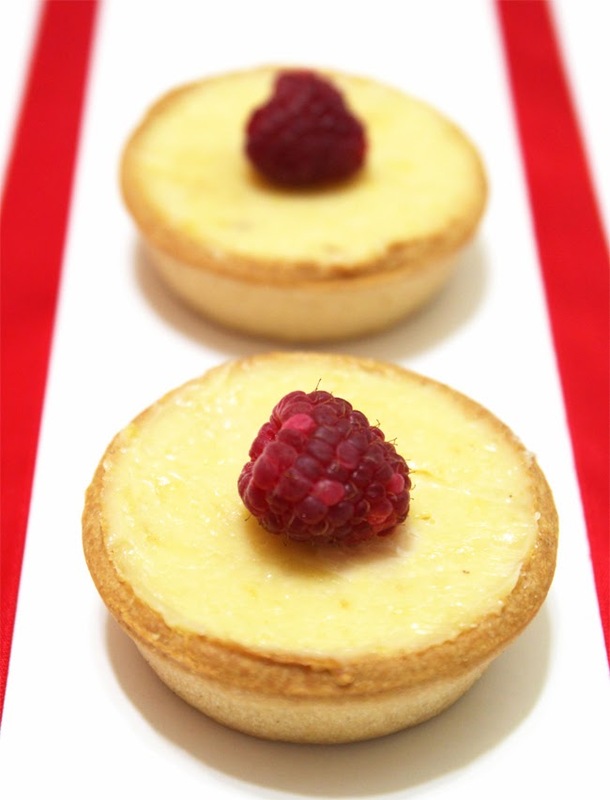 I know if you have read my whole post, at this point you're dying to try to make these amazing lemon tarts yourself. I won't keep you waiting! Here goes the recipe. Put the butter in a mixer bowl and beat until smooth and creamy. Add the sugar, ground almonds, and vanilla bean seeds. Mix until well combined.Add the eggs one at a time. Be sure the first egg is fully incorporated before adding the next one!Combine the flour and salt. Add to the dough in about three parts. Mix until just it comes together. Attention here: Be very careful and for any reason Do not overwork the dough!It’s better to have a lumpy dough rather than a overworked one.Divide the dough in the portions you need. (I did 2 big tarts for 8 persons)Turn each part into a disk and wrap them with plastic wrap and store in the fridge overnight.Next day, remove the dough from the fridge, and roll it between two sheets of parchment paper. Work quickly…like that the dough will stay manageable and not soft and overworked.Line your tart pan with the dough and put it back in the fridge for at least 1 hrs to rest.Preheat the oven to180°CBake for 20 minutes until it’s golden brown.Let cool in the tart pan. Bring a saucepan of water to the simmer. In the meantime, set up your food processor/blender or have a deep container and your immersion/stick blender ready to go. Also prepare a sieve that will fit over your food processor or chosen container.Combine the sugar and lemon zest in a metal bowl that will fit over the simmering pan of water without its base touching the water (basically, you should be cooking the curd in a bain marie). Rub the sugar and zest together with your fingers until the mixture is moist, grainy and incredibly aromatic. Then whisk in the eggs followed by the lemon juice.Place the bowl into your pan of simmering water. Keep whisking until the cream thickens and reaches 82° Celsius. Pull the curd off the heat the second it hits 82° Celsius and sieve it into your food processor/blender or container. Let it cool to 60° Celsius.Blend on high while adding pieces of butter into the cream, about 5 pieces at a time. Scrape down the sides of the bowl when necessary. When all the butter has been incorporated, continue to blend for another 3 to 4 minutes to ensure that it is perfectly smooth and light.The curd can be used immediately, stored refrigerated in an airtight jar for up to 4 days, or frozen for a month. I found out the curd is at its best after being in the refrigerator overnight. That's when it gets the perfect consistency and even stronger flavor. 1. The cookie base: Ok, I cheated a bit. But this was my first time ever to do a tart/pie, so I have never done pâte sucrées ever! So I bought my tartlets from the supermarket... ready to fill. 2. The lemon curd: I used half the amount for all the ingredients in the recipe, and it yielded enough curd for 5 individual 6.5cm tarts. I mentioned how this recipe is sort of pro because we need a thermometer for it... Well, my thermometer didn't help much. I spent 20 minutes removing my mixture in the bain marie, and the temperature wouldn't go higher than 55°C. I was starting to panic and I finally stopped the bain marie and put the whole thing in the fire, where it didn't get to 82°C either, but 77°C. I stopped it nonetheless because the mixture was drying out and it I was sure it would get burned any second now. I took it out from the stove and 30 seconds later I added the butter. And guess what, the result was PERFECT. I sort of couldn't believe it turned out so great. 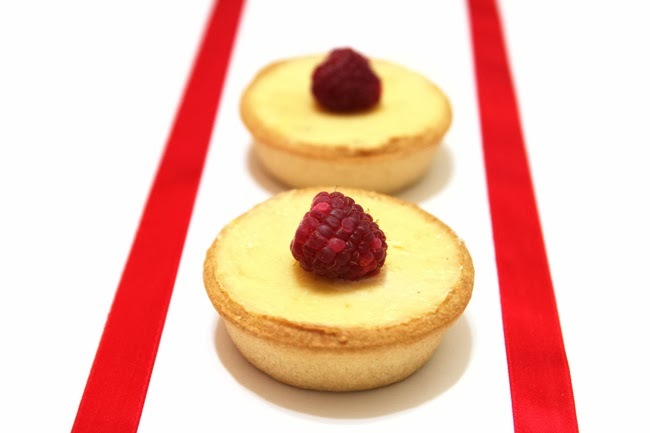 I'm a lemon tart lover so I've tried MANY lemon tarts in my life... and this was just as good as Pierre Hermé's one. He supposedly uses Meyer lemons, which are sweeter and not as sour, but I promise you this recipe works wonders with normal lemons too. so lovely! it seems perfect! I'll try! Thank you for stopping by! :) I'm glad you liked today's recipe.